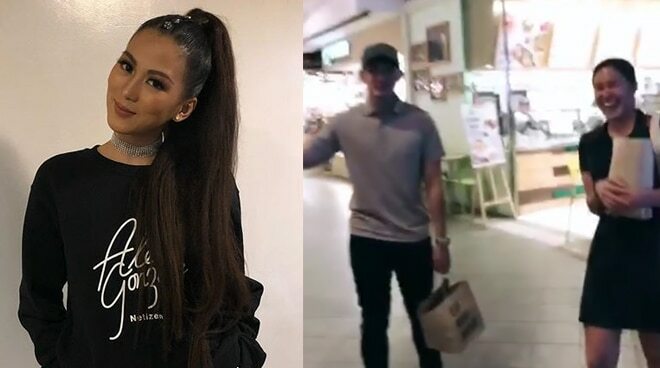 Did Alex Gonzaga catch Robi Domingo with his date? Alex Gonzaga uploaded a video on Instagram of Robi who seems to be with his date on Monday night. That was what Alex Gonzaga exclaimed when she crossed paths with Robi Domingo on Monday night. In her Instagram Stories, Alex Gonzaga took a video of Robi and a girl who seems to be his date that night. Robi and the girl were all smiles as Alex started teasing them. It can be recalled that Robi admitted recently dating a non-showbiz girl. “My love life is better (laughs) I guess. I am (seeing someone) right now,” he said in an exclusive interview with PUSH.